The Mardi Gras au Coeur de la Louisianne (Mardi Gras in the Heart of Central Louisiana) spirit has really taken hold of Central Louisiana since the first parade was held in 1994. Alexandria's Mardi Gras has grown from ten floats and four Mardi Gras Krewes to many floats and Mardi Gras Krewes. Parades are held in downtown Alexandria and the Texas Avenue - Alexandria Mall area, with other Mardi Gras events at other locations around the Central Louisiana area. Parade attendance is now estimated at 120,000, and the Saturday morning Children's parade attendance in downtown Alexandria is estimated at 25,000. The Alexandria Mardi Gras Association (AMGA) has worked hard to make Mardi Gras in Central Louisiana an event for everyone! Mardi Gras was last held on March 5, 2019, with parades and events scheduled before that date. 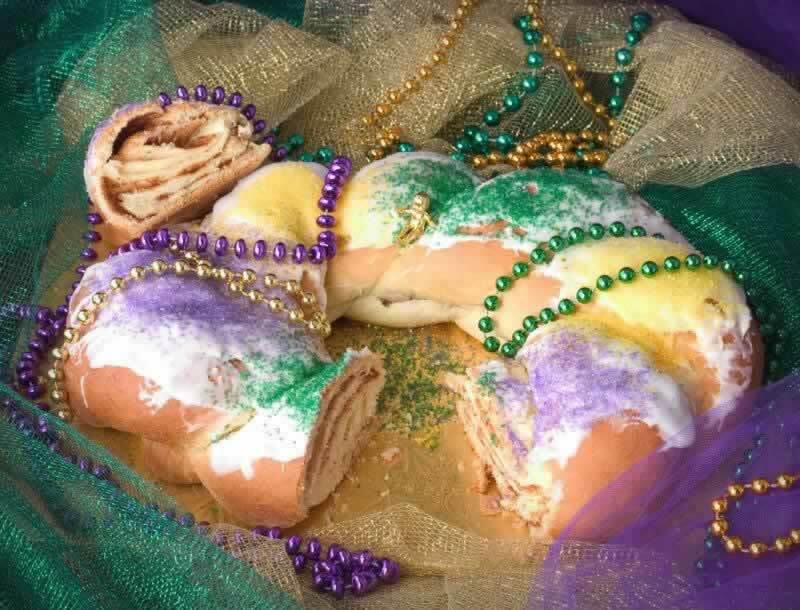 It's just not Mardi Gras in Alexandria without a King Cake! Need Lodging for Mardi Gras in Alexandria?